Polo teams from around the world travel to Newport each summer to enjoy the best in local hospitality, and challenge Team USA in the Saturday matches of the Newport International Polo Series. The finest locations in Newport roll out the red carpet to host our international guests of honor as their Official Team Headquarters while on their U.S. tours. Each locale offers signature amenities, beautifully appointed guest rooms, and unbeatable locations to take in the City by the Sea. The Poland Team is the first to ride on Newport, challenging Team USA on Opening Day. 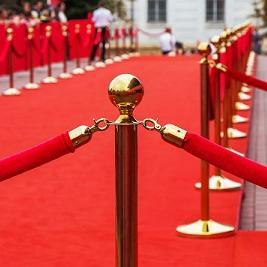 Hotel Viking will host Poland on its debut weekend for superior accommodations with a coveted Bellevue Avenue address. Hotel Viking opened to an awestruck public in May 1926. 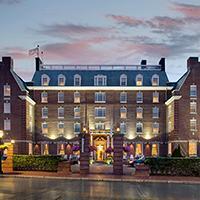 As a member of the prestigious Historic Hotels of America, the Viking in Newport holds a special place in history. From the clock above the Front Desk depicting ancient Nordic Runes to the original 1926 brass letter box in the Lobby, the hotel offers a wonderful combination of style, comfort, and modern amenities. Brimming with stories of famous dignitaries and celebrities, the Hotel Viking has offered gracious hospitality for over 90 years. 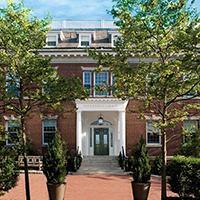 Newly rennovated guest rooms are booking now for a summer escape. Cries of Freedom heard across the land only herald the arrival of the Scottish Polo Team, headquartered at the lavish Grace Vanderbilt. The former high society mansion built by the Vanderbilt family, turned luxury boutique hotel, is sheltered from the downtown bustle, but is mere steps from the historic city center. Guests can savor culinary masterpieces celebrating local produce at The Vanderbilt Grill and afterward make their way up to Newport’s best-kept secret, the roof deck terrace. Expertly mixed cocktails created by master mixologists are the perfect accompaniment to the stunning sunset views of the historic center and harbor. On June 15, the eve of USA vs. Scotland, polo fans are invited to join the players for a Tartan Shindig on the beautiful Garden Terrace, by RSVP. Headlining the season's social highlight is the Moroccan Polo Team, staying at the equally special Gurney's Newport Resort & Marina, the Official Gala Hotel for Midnight in Marrakesh. Newport's trendiest new destination, a private island oasis, offers a secluded retreat, steps away from the heart and history of the charming cobblestone streets of Newport. 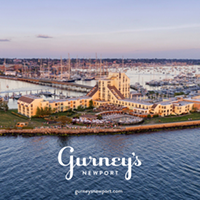 Manicured grounds with 360-degree water views provide an unmatched setting for guest accommodations, special events, water-front dining, entertainment, wellness spa, family fun, and uninterrupted shoreline views boasting the best sunsets in Newport. Polo fans can join the teams at this iconic locale on August 3rd for Sunset in Marrakesh, a cocktail reception to Meet & Greet the Moroccan Polo Team and enjoy the best sunset view in Newport, by RSVP. After a nine-year hiatus, the Indian Polo Team will be treated to accommodations at the only hotel overlooking the stunning views of Newport's Cliff Walk and Easton's Beach. The Chanler at Cliff Walk, built as a private home turned luxury hotel, has played host to notables such as poet Henry Wadsworth Longfellow and President Theodore Roosevelt. The hotel creates a unique blend of contemporary serenity and gilded elegance of Newport's historic past, incorporating modern services and amenities, with superb dining, and convenient location within easy reach of Newport's great offerings. 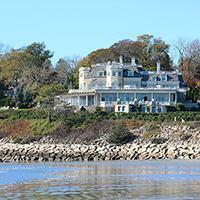 Vanderbilt International Properties represents the most luxurious and unique properties throughout Rhode Island and the world. 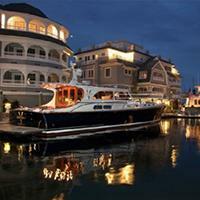 Each year, several of the visiting teams are hosted in these premier locations, like the stunning waterfront Vanderbilt Residences, to delight in the wonderful amenities of these Newport properties. The Vanderbilt International Properties team has several decades of experience cultivating and selling world-class properties to the most discerning clientele, building personal relationships while achieving first-rate results. Wheather looking for a permanent residence, or your own Newport summer headquarters, find it at Vanderbilt International Properties. Best. Season. Ever. Make it yours! Newport Polo hosts the Newport International Polo Series XXVII, and is the home of America's first polo club, est. in 1876, and a founding member of the United States Polo Association, offering public exhibition matches, polo club member services for grass & arena polo, and polo instruction year-round.